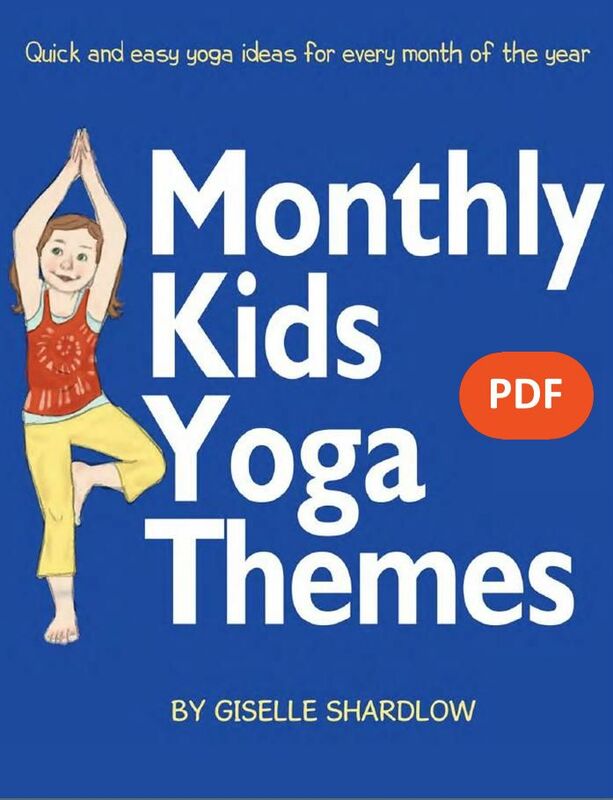 Kids Yoga Stories has partnered with Spanish Playground on a monthly theme project that focuses on a single breathing technique, yoga pose, and yoga book. 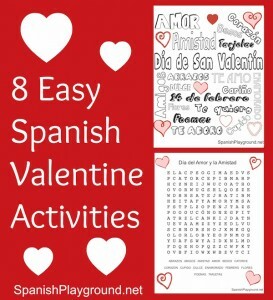 It also includes a 3-pose flow sequence, a Spanish-integration idea, and links to other theme resources. This way, you have one thing to focus on each month so it’s easier to bring the benefits of yoga to your children. Our fourth theme is “Love” in honor of Valentine’s Day. With all the snow days recently, my daughter and I took the opportunity to create Valentine’s Day cards for her school friends. We talked about the meaning of Valentine’s Day and how we can show people we care for them. My daughter learns academic and social skills at preschool, but it’s my job to teach her values and morals. And living in a house filled with love and kindness is my first priority. Believe me, it’s not all roses and tea cups over here. I’ve had my fair share of shameful parenting moments, but I’m slowly learning to forgive myself, move on, and stay committed to the bigger picture. But Valentine’s Day is a great opportunity to remember to appreciate each other, and it’s an excuse to bring out my favorite “love” books, Frog in Love by Max Velthuijs and Froggy’s First Kiss by Jonathan London. These were my favorite books as a teacher, and now I love being able to share with my daughter. 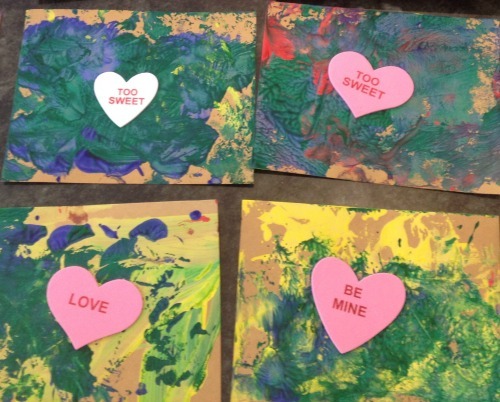 My daughter’s painted Valentine’s Day cards. 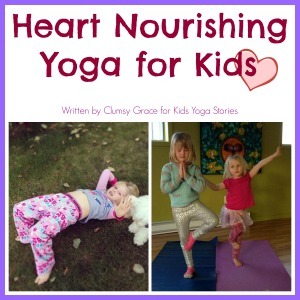 One of the challenges readers have shared over the years is how to add yoga into their curriculum, classes, or home life with ease and simplicity. There are tons of ways to integrate yoga, but teachers and parents with limited time are finding it difficult to focus on quick ideas. 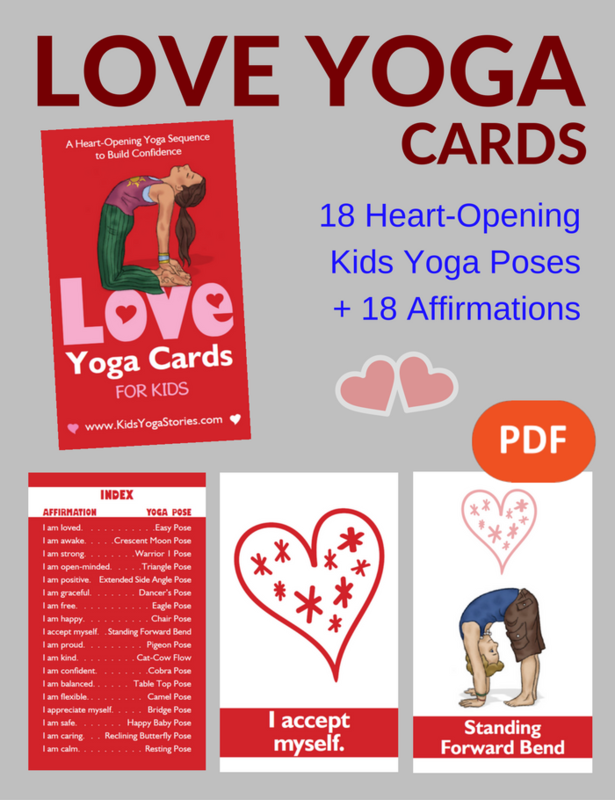 Learning about love can come from discussions, reading books, doing related kids’ activities, and art projects, as well as breathing techniques and yoga poses. The “LOVE” FOCUS BREATH is loving kindness breath. Choose a standing or comfortable upright position (such as sitting in a chair, sitting cross-legged, or sitting on your heels). Close your eyes (if that is comfortable) and begin to tune in to the sound of your breath. Then take a deep breath in and slowly exhale for five counts. On your next exhale, think of filling yourself with love. You could think of the color red enveloping your body. Then on the next exhale, think of sending loving kindness to someone you are having a difficult relationship with at the moment. Lastly, send out love and kindness to the world. Finish your loving kindness breath by coming back to breathing naturally. 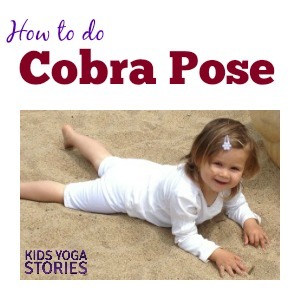 The “LOVE” FOCUS YOGA POSE is Cobra Pose. Lie on your tummy with your legs straight out behind you. Activate your leg muscles by pressing your thighs and the tops of your feet against the ground. Place your palms flat next to your shoulders and draw your shoulder blades together down your back. On an inhale, press into your hands and gently lift your head, chest, and shoulders off the ground. Tighten your thighs and buttocks. Look down out in front of you to ensure that your neck is straight. Straighten your arms as far as feels comfortable, ensuring the integrity of your spine. Coming even just a few inches off the ground is perfect. Once you are in Cobra Pose, bring awareness to your heart and be open to giving and receiving love. Take a few deep breaths. Then on an exhale, slowly bring your forehead back to the ground. Turn your cheek to one side and rest for a moment. Allow your lower back to relax. 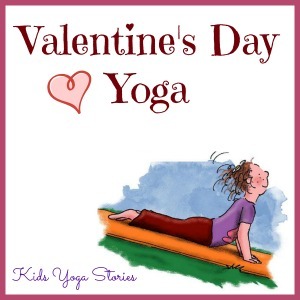 The “LOVE” FOCUS YOGA FLOW is Table Top Pose, Cobra Pose, and Child’s Pose. 1. Table Top Pose (stabilize your spine): Come to an all-fours position with your fingers spread out and palms flat on the ground. Ensure that your back and neck are in a straight but neutral position. Your shoulders should be over your wrists, and your hips should be over your knees. The tops of your feet are flat on the ground. 2. Cobra Pose (heart-opening posture): Lie on your tummy, place your palms flat next to your shoulders and press into your hands. Lift your head and shoulders off ground on an inhale then exhale deeply. Think of your heart opening up to receiving love. 3. Child’s Pose (resting position): Sit on your heels, slowly bring your forehead down to rest in front of your knees, rest your arms down alongside your body, and take a few deep breaths. Think of how you give your love to others. Think of feeling safe and secure. You can flow gently over and over through the three yoga poses. Talk to your children about ways that they can give and receive love every day and the benefits of feeling loved. 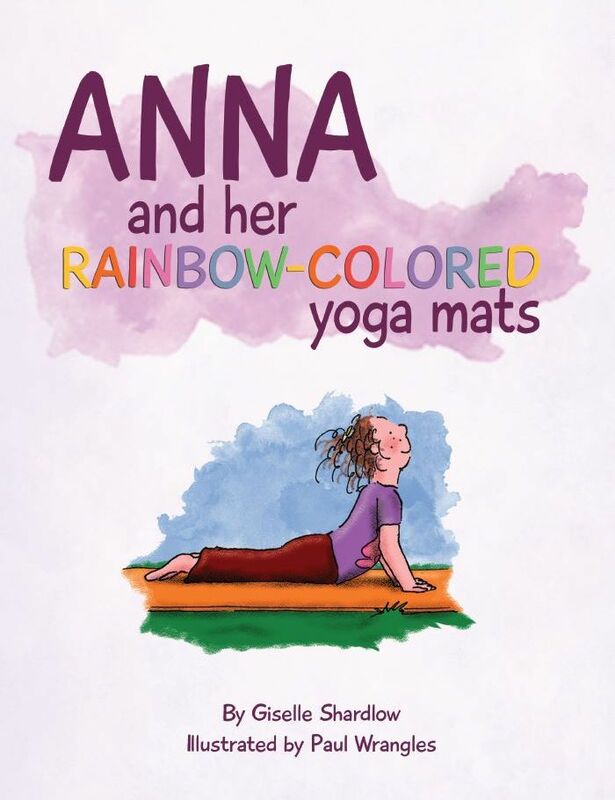 The “LOVE” FOCUS YOGA BOOK is a yoga book about friendship, happiness, and acceptance, Anna and her Rainbow-Colored Yoga Mats. We have just released a second edition of this yoga story, and it’s now available in English, Portuguese, Spanish, and French. Anna finds happiness practicing yoga on her rainbow-colored yoga mats at recess. She imagines traveling the world and exploring new places. Discover if her classmates accept her and join the fun. 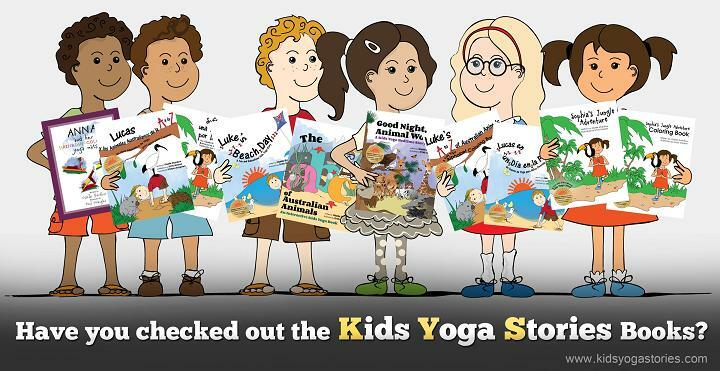 Experience the benefits of yoga with your children or students by acting out this interactive yoga book or discussing what it means to be happy. A yoga story about friendship, happiness, and acceptance. 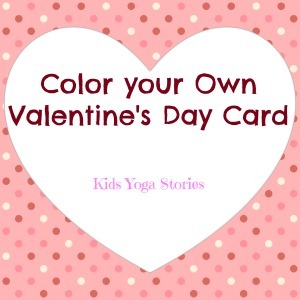 How did you go with your Love Yoga theme? 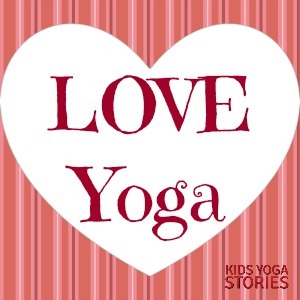 For more yoga tips and kids yoga resources, sign up for our weekly Kids Yoga Stories newsletter by adding your email address to the box at the top of the page.